Unfortunately we sometimes need to part with our beloved equine friends as they move on to bigger and better things in their lives and give their love to other people. Here is a list of horses that we are offering for sale. Our loss is your gain. 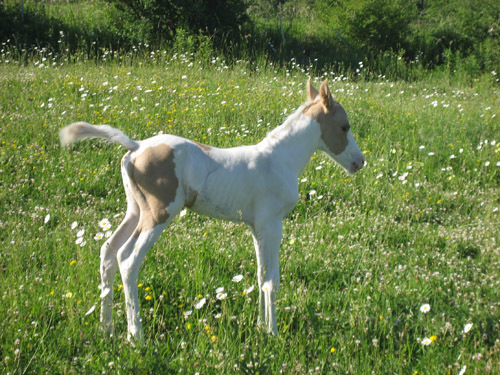 Cupid was born at 7:00am on June 6 and is a handsome and strapping baby boy with incredible agility and independence. 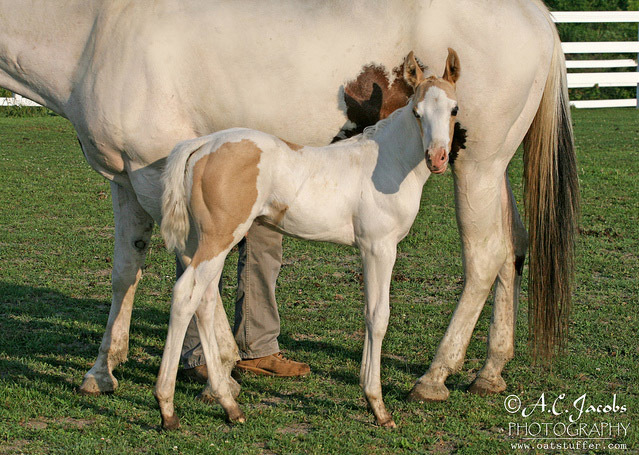 He is a palomino tobiano overo. 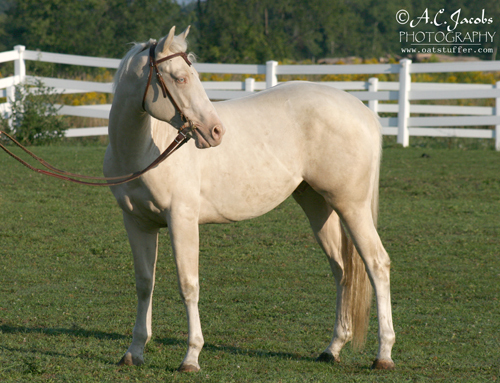 This means that he is both a dilute and carries both types of pinto colorations. He looks like a palomino carbon copy of mom! We named him Cupid because of the heart shape on his back. His official name will be "Skip Me Awesome Cupid" upon registration. Cupid is ALL legs. He's speedy, fast, and very very alert. 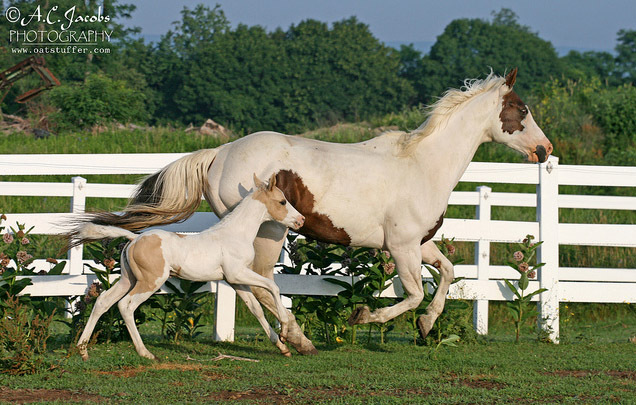 Cupid is incredibly social and independent. I see Cupid being very well rounded, just like his mother. 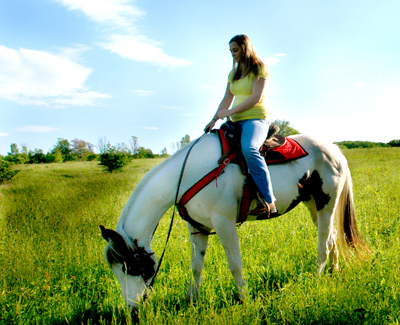 Maxie is our MVP of the stable, teaching kids to ride, leading trail rides, barrel racing and jumping. You name it and Maxie probably has done it and Cupid will most definitely follow in her footsteps. Cupid is offered for sale for $1,500. 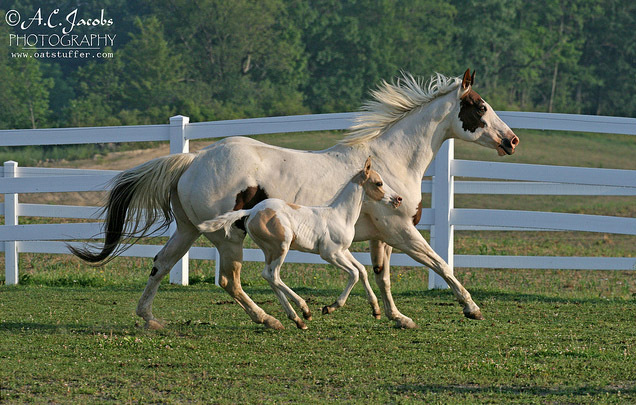 He cannot be weaned until late fall, but he can be purchased prior to weaning with free board until he is weaned. Please CLICK HERE to go to our ride request form. 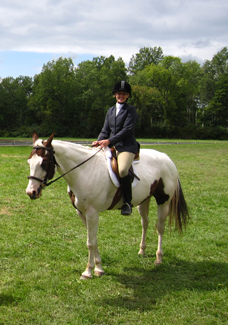 Riders of all abilities and ages welcome. Painted Bar Stables only accepts cash and checks. Credit Cards are not accepted at this time.